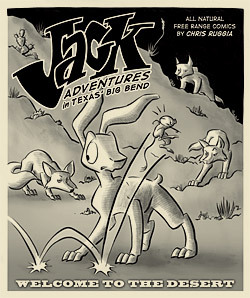 All Kinds of Things About "Jack: Adventures in Texas' Big Bend," by Chris Ruggia. Brand New on the Site! 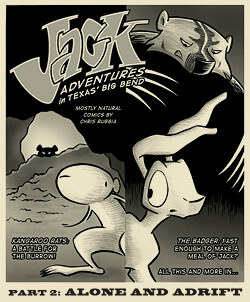 28-page mini-comic, 7 x 8.5"
Jack's and Mel's adventure finally concludes in this all-new volume! A coyote/badger team-up spells DANGER for our heroes. Will they survive the night??? 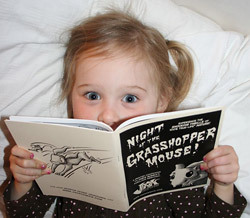 packed with story, plus 2 bonus pages of sketches and nature info! 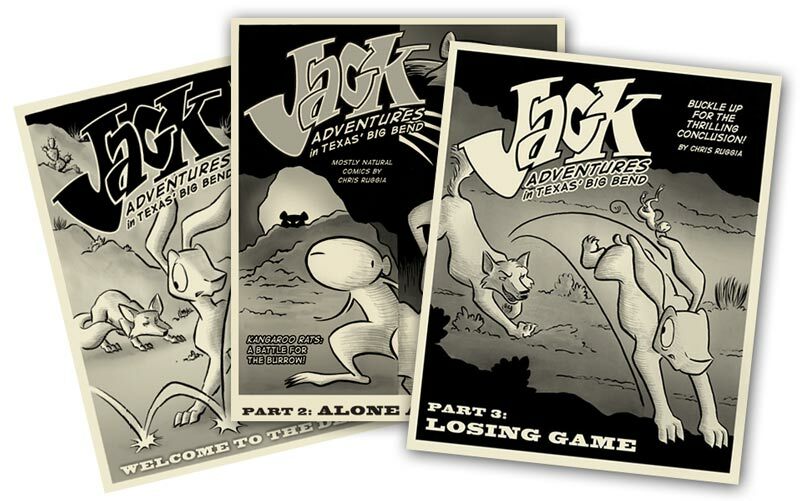 24-page mini-comic, 7 x 8.5"
Our story continues! Meet the Badger and the Earless Lizard! Shake your head with dismay as Mel gets in a fight and learns to meditate! 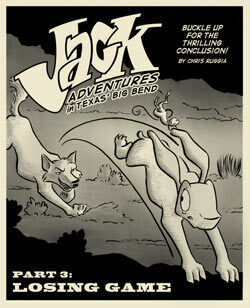 with 2 bonus pages of sketches and nature info, PLUS an exra 3-page comic! The beginning of our online story makes its way into print! Run away from Kit Foxes and Coyotes in the comfort of your couch, your bed, or even your bathroom! Yay, books! background details and nature info! 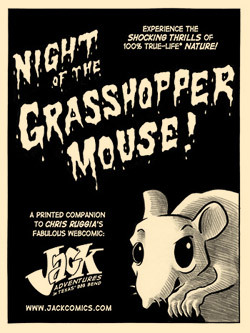 28-page mini-comic, 5.5 x 7.25"
with 3 bonus pages of sketches and nature info! 100% cotton Hanes tagless shirts. 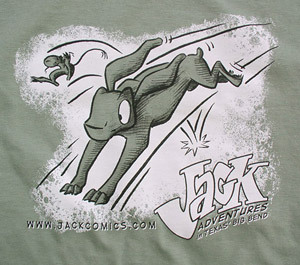 Mel the Kangaroo Rat T-shirt! The predators are using MIND CONTROL! 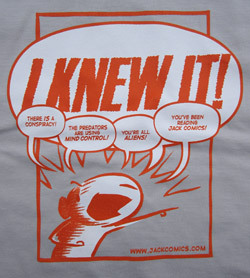 You've been reading Jack COMICS!" premium shirts by American Apparel, made in the USA! 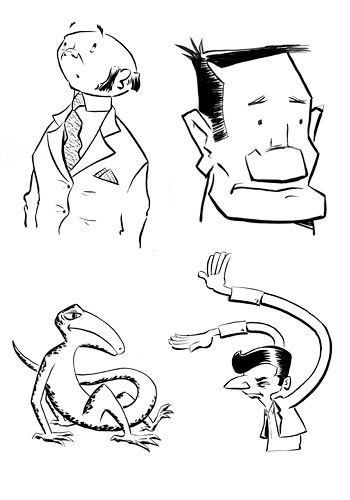 Original ink drawings on acid-free 8.5 x 11" paper. I sit down and make up a character on the spot. If there's something in particular you want me to draw, let me know in the instructions area on the Paypal site. No guarantees that it will come out the way you expected, but I'll give it a try. If you want something more complicated than that, e-mail me and we'll figure out a price.